The next time you’re craving a sweet treat, don’t reach for a boxed snack that can be highly processed, not to mention being chock full of refined sugars. Reach for a naturally sweet, juicy pear instead—they taste incredible & pack a nutritious punch! So, the next time you’re tempted to reach for a sweet treat—think outside of the box. Make a healthy choice—fresh pears are naturally delicious! Pears are fat free, and are an excellent source of fiber that contains vitamins and other beneficial nutrients. Several studies suggest that adding pears to the diet aids weight loss, especially when pears replace less healthful or less filling foods. 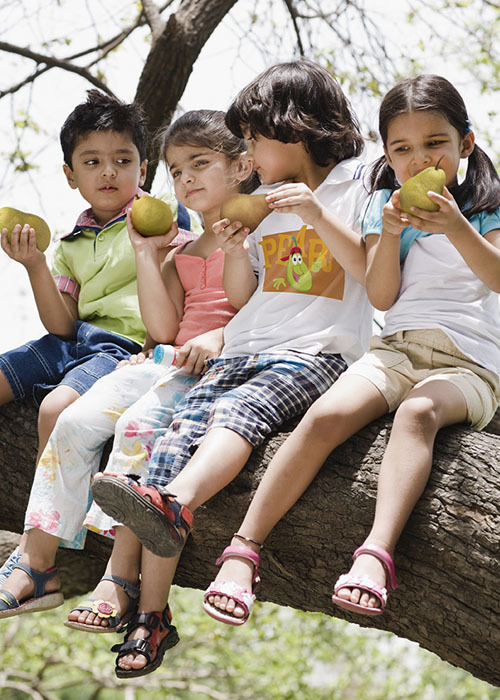 Pears pack a nutritional punch! Eating two pears every day meets your fruit needs as outlined by the Dietary Guidelines for Americans. What could be sweeter?